The goals of ATSC 3.0 are to improve the television viewing experience with higher audio and video quality, compression efficiency, robust transmission for reception on both fixed and mobile devices, and more accessibility, personalization and interactivity. ATSC is also addressing changing consumer behavior and preferences, providing TV content on a wide variety of devices. Furthermore, ATSC is working to add value to the broadcasting service platform, extending its reach and adding new business models. 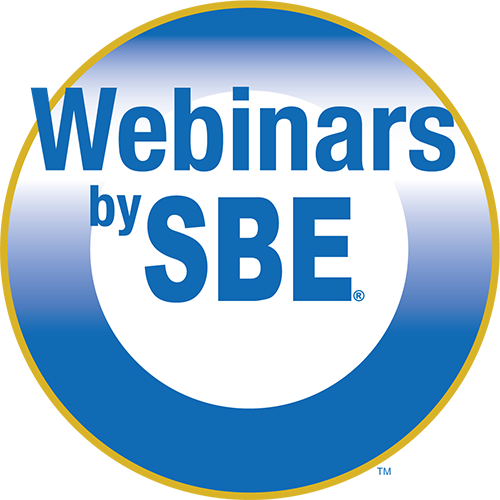 Join us for this SBE webinar that will provide an overview of the new impending standard that will transform the television broadcast ecosystem. With an all-IP based distribution platform we will have numerous opportunities to improve the consumer experience with better quality audio and video, new service offerings, delivery to mobile devices while also enabling new digital services. This session will describe how the new platform will work and how it could be deployed. We will give a brief ATSC 101 then dig deeper into the service conceptual model, video system, audio system, interactivity and enhanced accessibility services that we can offer as content creators and distributors. Following will be an interactive Q&A session. ATSC 3.0 will change the television broadcast environment in many positive ways; join us to learn how you will play a part in the new television revolution. Dr. Chernock is chief science officer at Triveni Digital. In that position, he is developing strategic directions for monitoring, content distribution and metadata management for emerging digital television systems and infrastructures. Previously, he was a research staff member at IBM Research, investigating digital broadcast technologies. Dr. Chernock is active in many of the ATSC, SMPTE and SCTE standards committees, particularly in the areas of future DTV, monitoring, metadata, and data broadcast. He is chairman of the ATSC Technology Group on ATSC 3.0 (TG3) and chairs the AHG on service delivery and synchronization for ATSC 3.0. He was previously chairman of the ATSC Technology and Standards Group (TG1). He is also the Distinguished Lecturer Chair for the IEEE BTS. Dave Siegler is vice president of technical operations for Cox Media Group (CMG) at the company's Atlanta, GA, headquarters. He manages CMG's technical operations groups to integrate new technologies and processes across various platforms for CMG’s 14 broadcast television stations, one local cable television station, 57 radio stations and eight daily newspapers. Siegler serves as a vice-chair of the ATSC board of directors, chair of the ATSC 3.0 Personalization Interactivity & Interactivity Implementation Team, chair of the NAB's Television Technology Committee and is a member of the Society of Broadcast Engineers, Association of Federal Communications Consulting Engineers, Society of Motion Picture and Television Engineers and the Institute of Electrical and Electronics Engineers - Broadcast Technology Society.